Forsterite is a colorless to greenish transparent member of the olivine mineral family, which also includes peridot. Forsterite has a heavy magnesium chemical composition and large crystals are not common, but highly sought after by collectors. Forsterite is in the olivine group with peridot. 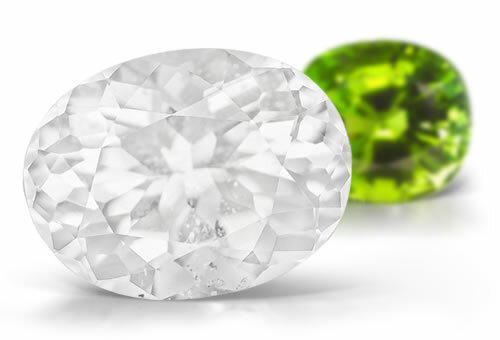 If the stone is bright green it is probably peridot if the stone is colorless it is forsterite.